UNCG was able to launch a fundraising microsite in a matter of days by leveraging NeuLion College’s modular-based Page Builder product. "NeuLion’s staff and technology really delivered for us,” said Craig Fink, Senior Associate AD for Advancement and Chief Revenue Officer. NeuLion College, the creator of industry-leading technology products for college athletics and amateur sports organizations, and long-time partner UNC Greensboro Athletics have launched a fundraising microsite using NeuLion College’s easy to use Page Builder product to promote UNCG’s recently announced Campaign for Champions. UNCG announced the campaign’s first initiative – the 5 for 5 – at the end of January with a goal of raising $5 million by June of 2020 in recognition of the five Southern Conference Championships won by UNCG during the 2017-18 academic year. The campaign will support the Spartans’ efforts to transform student-athlete academic and support facilities and to recruit and retain top coaches to lead UNCG’s 17 Division I athletic programs. To date, the campaign has nearly $900,000 in commitments. Prior to the campaign announcement, UNCG turned to long-time partner NeuLion College to assist in creating a microsite to deliver campaign information. Instead of creating a separate website and going through custom design and development, NeuLion College collaborated with UNCG to utilize its modular-based Page Builder tool to create the Campaign for Champions microsite in just a few days. 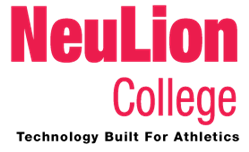 Page Builder is available to all NeuLion College partners and is a component within their content management system -TITAN. It is designed to help partners easily create attractive, responsive, and dynamic web pages, such as gameday centrals, ticketing or donor campaigns, facilities fundraising, coaching announcements and more, without requiring HTML knowledge. Pages are created using various modules that dynamically pull information from within TITAN and can be easily arranged and customized as desired.